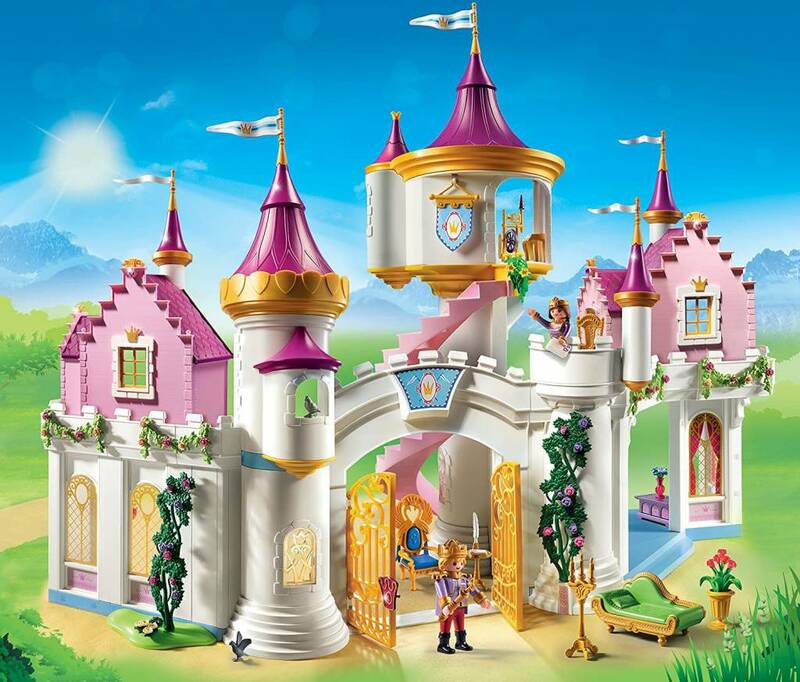 Enter the magnificent golden gates to discover the great princess castle. 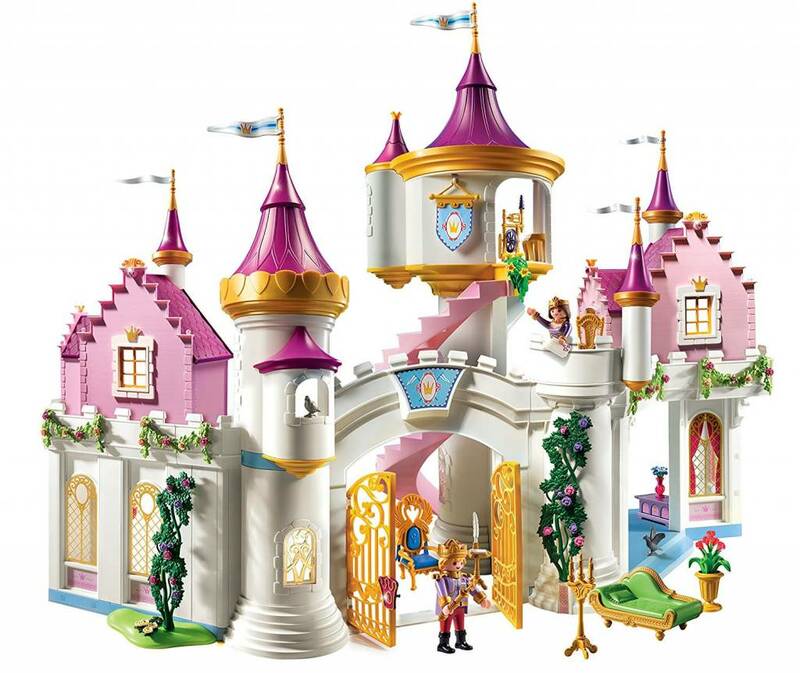 This three-story castle has everything a princess needs, including a grand staircase and multiple lavish rooms. 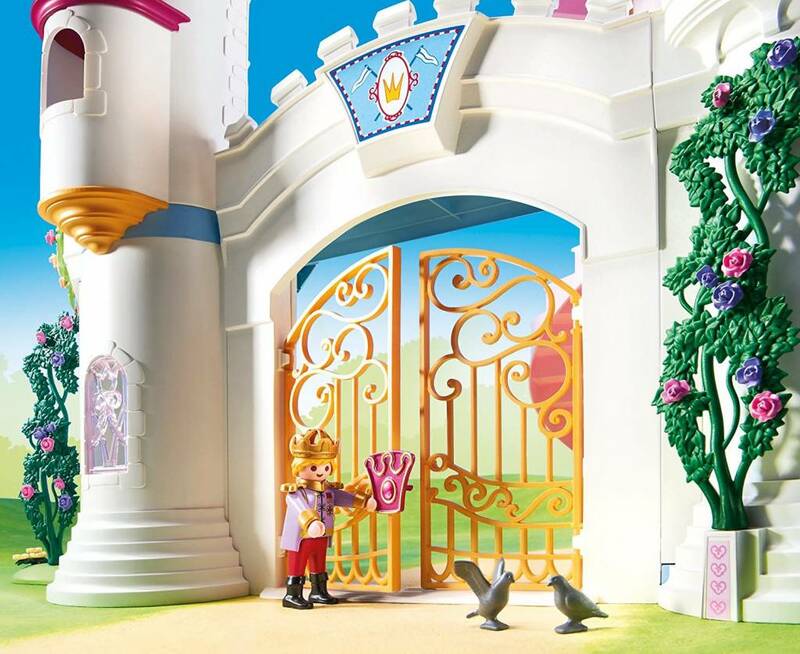 The double-leaf gates easily open and close, with a golden lock included to secure the palace. Pay your respects to the royal couple in the royal room complete with throne. Take the elegant spiral staircase up to the tower where you can look out over your kingdom or spend time at the weaving wheel. Change the princess's outfit thanks to the removable hoop skirt. 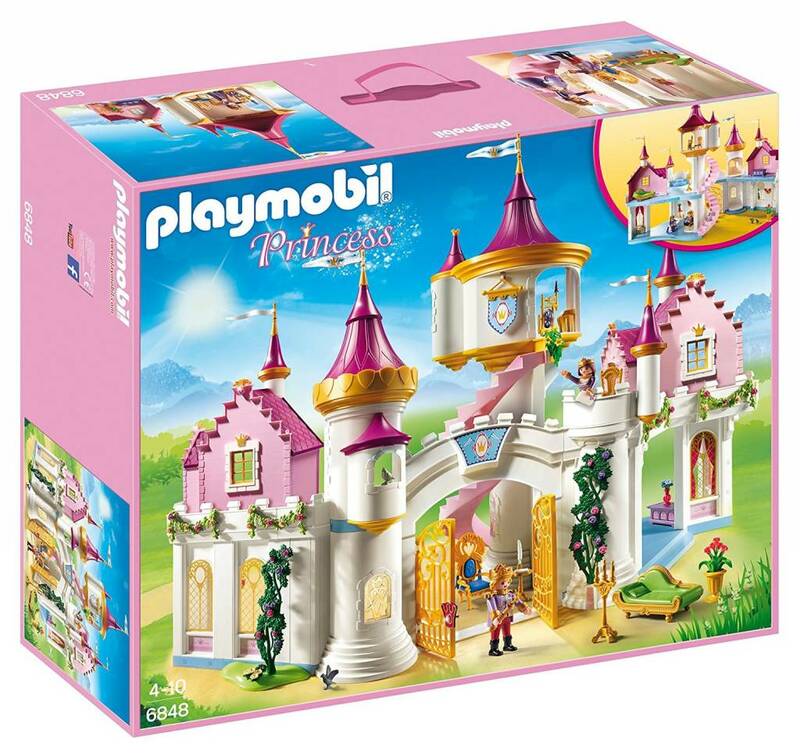 The carriage from the PLAYMOBIL royal couple with carriage (9161 – sold separately) can easily ride through the castle gates. 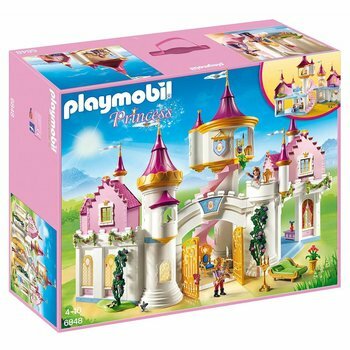 Set includes two figures, throne, chaise lounge, candelabra, doves, purses, and tons of other accessories.